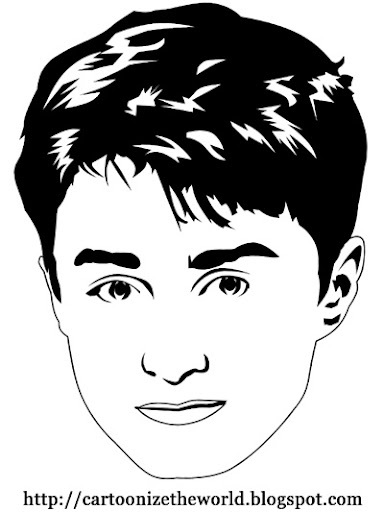 What better way to start off our weekly Harry Potter cartoon by featuring none other than Harry Potter himself- Daniel Radcliffe! He first appeared in a supporting role as Mark Pendel in the movie The Tailor of Panama. Later that same year, he played Harry Potter in the movie adaptation the series' first book: Harry Potter and the Philosopher's Stone. After this, Daniel became extremely popular all around the world. He went on to play Harry Potter in the following films in the series. Young as he is, Daniel Radcliffe has already won numerous awards and received a lot of nominations. Harry Potter, you've been cartoonized. Be sure to check this site once in a while, for another Harry Potter cast member is on his/her way to being cartoonized! its really good u should do the rest of the harry potter y did u stop let me guess.....Twilight? Forget them do the rest!!!!!!!!!!! !